Moringa: The Ideal Food for Obese and Malnourished? by Monica G. Marcu, PhD, Pharm.D. If I would tell you that science has discovered and characterized an amazing edible plant, loaded with most nutrients that we need (all essential amino acids, beneficial fats and omega oils, rich amounts of calcium and iron and many other vital minerals, as well as a wide variety and copious amounts of vitamins, antioxidant and anti-inflammatory substances) but very few calories attached to it, what would you say ? Wow – you would probably get immediately excited and start to look for it or try to find out more details. You would probably be thinking that such a treasure is to be found somewhere around the corner or news about it would abound in the health magazines, right? I guess that is how it should be but, as with so many other important but neglected issues today, Moringa did not capture yet too much attention from mass-media or the food and health press. And here is where I should start my hard work as a crusader for the “Miracle Tree”, or “Miracle Food” – Moringa oleifera. Well, fair to say that this plant was known and used by some populations for thousands of years, but it has not really penetrated the Westerners markets yet, with few exceptions. Nevertheless, when I started to work in this project which culminated with the writing of the book “Miracle Tree”, I knew nothing about Moringa, despite my formal training in botany and plant pharmacology. No surprise here, science has described less than 1-2 % of all existing plants on the planet so far, but even on those described knowledge is rather incomplete. (I hope we will get to research most of these leafy Earth co-habitants and neighbors before we exterminate them by pollution or habitat disappearance!). The more I studied and researched Moringa, the more amazed and intrigued I was. The main question still obsesses me: WHY don’t’ we know more about this plant and why don’t we grow it or import it for daily availability? Let me present you quickly some facts and science about this plant and let you decide whether I am righteously intrigued and amazed or not. Moringa oleifera (Moringaceae ) is a tree that can amazingly grow 5-6 meters (yards) in a year, despite minimum rainfall. Actually, Moringa o. is the most studied of 14 species of Moringa trees, originally from Arabia and India (South of Himalayan Mountains). Today Moringa is common all over the tropics, from South Asia to West and East Africa, in South and Central America. Historically, there is evidence that cultivation of Moringa in India dates back thousands of years, and the traditional Ayurvedic medicine used this tree to heal or prevent hundreds of diseases. Closer to our times, scientific evidence has accumulated to endorse many of the healing properties of Moringa, since some of its chemical compounds were isolated and described. Due to its numerous healing and nutritious properties, Moringa is surrounded around the world by legends and praise, awe, and respect, clearly suggested by affectionate names such as: “Miracle Tree,” “Mother’s Best Friend,” and “Never Die.” It was more than overwhelming to learn about Moringa, and, during this process, I came to love and talk about it as a close friend. I have to underline that all my work and research so far have been on pharmacology, health, nutrition, environmental medicine and prevention of disease. It might sound as a lot of areas, but I view them all as overlapping and intrinsically linked together. Consequently, I believe we, Westerners are much too much focused on treatment of disease and tragically neglect prevention. With few exceptions, our “health care”, as practiced, is actually “disease care”. True(body and mental) health – defined not only as the lack of disease, but also as by a well-balanced state of mind, boundless energy and creativity – is rarely covered or described in the medical courses and curriculum. In addition, how to achieve that ideal health is even less clear from the medical text books and teachings. Personally, I cannot think of anything more important to general health than a wholesome, clean of pollutants, complete nutrition, characterized by a complex variety of nutrients easily digestible and bioavailable. Their rich combinations, as found in plant sources and as “intended” and “grown” by nature, were used by our ancestors or omnivorous relatives, for eons, and worked just fine to support our development and evolution, without the sad consequences of the “modern” diet to which we seem to succumb by cancer and heart disease. Vitamins pills (with possible problems associated with toxic levels and accumulation) were not needed, as plant-based diets include all the necessary nutrients and more (antioxidant and anti-aging phytochemicals), in fine balance and subtle combinations that synergise and enhance each-other’s properties. Among all the plants I know I cannot think of a more nutritious one than Moringa. And while I am definitely supporting a diet including a wide variety of plants, mostly un-cooked (in order to preserve the activity of enzymes, vitamins and phytochemicals), I believe that Moringa (leaves, pods, fruits) should be used as often as possible. One plant has it all! One-stop nutrients supply with few calories or salt. – In comparable amounts (gram per gram), Moringa contains four times more vitamin C than oranges, three times the iron of spinach, and four times the calcium found in milk! Vitamins B1, B2, E, pro-vitamin A are also present in significant quantities that might make oranges or carrots pale by comparison. Other vitamins and micro- or macroelements (such as selenium, manganese, sulfur, magnesium, potassium, copper) are also found in Moringa. – Combine these with significant amounts of proteins – actually ALL essential amino acids are found in Moringa in at least comparable amounts with soy, and in favorable proportions. – Moringa seeds are rich in an excellent oil, very similar in quality and composition with olive oil, one of the healthiest, most studied fats. The replacement of animal fats in the diet with vegetal fats such as olive or related oils, has been clearly linked with beneficial health effects and reduction in cardiovascular diseases and cancers. – Plant pigments (flavonoids) such as rutin and quercetin, and other beneficial phytochemicals (lutein, caffeoylquinic acids) to name just a few, are present in Moringa. These substances act as antioxidant, anti-aging or protect various tissues (retina, liver, blood vessels) from age-related damage and disease. – Moringa leaves and pods add very few calories and salt to the rich variety of nutrients, making them appropriate for dieters and obese. Can you think of a more nutritious plant? In the developing world Moringa leaves, pods or leaf powder have started to be used successfully as a complex food to nourish small children, pregnant or nursing women, AIDS patients and, of course, anybody else. Moringa is now famous and beloved in many parts of the world, while her fame is spreading and ignites exciting research projects in agriculture, forestry, botany, food and drug industries, health and cosmetics. 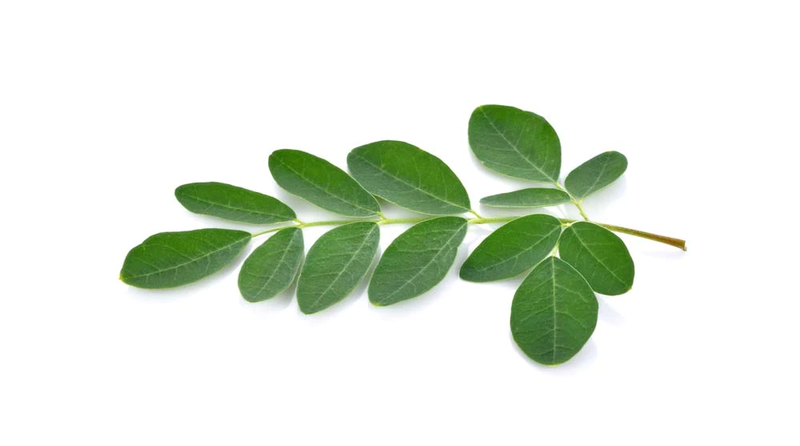 Churches and charities, peace corps, and other humanitarian organizations (Educational Concerns for Hunger Organization, or ECHO, Trees for Life – based in Wichita, Kansas – an organization that plants food-bearing trees in developing countries) are interested in Moringa for obvious reasons. The first-ever international conference on the Moringa tree, as an indigenous resource for fighting against hunger and malnutrition has been recently organized. The International Eye Foundation (MD, U.S.A) is promoting Moringa for the prevention of childhood blindness (due to malnutrition) in poor countries. The National Science Foundation and National Geographic Society, together with other organizations, have started to finance the gathering of a collection of all Moringa species and to gather more information about its many healthful properties. Are you impressed? But if Moringa is so famous, how come you did not hear about it? For those interested to find out more about Moringa, I would refer them to the book “Miracle Tree”. My wish was that anybody who reads it may understand the extraordinary value of this plant for humanity.